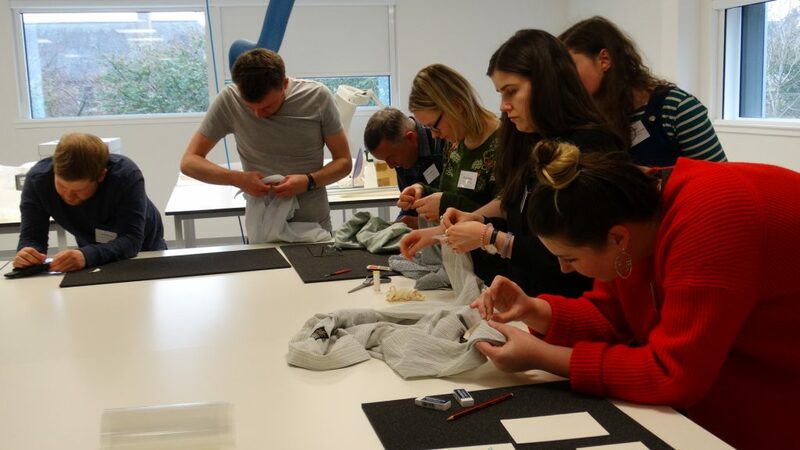 I recently attended a Pest Management and Object Labelling workshop, part of National Museums Scotland’s National Training Programme, which gave me up-to-date knowledge of best practice in caring for the collections at the David Livingstone Centre. 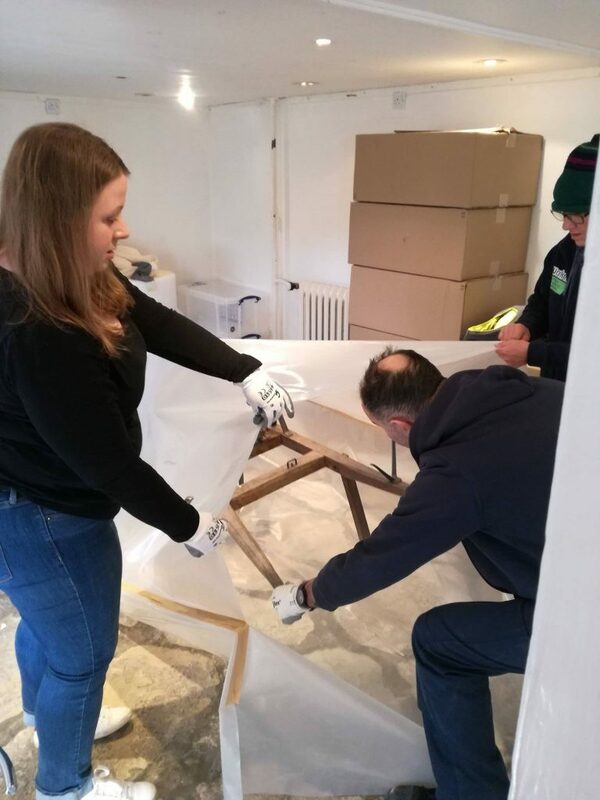 Recently, the Centre’s team of four, alongside some seriously dedicated volunteers, have successfully labelled and moved every object in our museum to their temporary homes. Go us! Before we got truly stuck into our decant, we needed a bit of a refresher when it came to best practice for pest management and object labelling. Kate places a warthog tusk on a shelf during the David Livingstone Centre decant. The same gallery after decant completion. As well as a review, we were hoping the workshop would allow us to effectively recognise any damage that had already occurred, prevent further damage, and understand the best means of labelling an object in the short amount of time we had for our decant. Tatiana Marasco, Preventative Conservator, taught us how to recognise pests, which pests are responsible for which damage, and introduced us to some of the most recent changes in museum pests. Not only did we get a vast array of horrifying close-up images of our favourite critters, we got to handle some specimens as well! While entomology is by no means my calling, I have to say I was surprised by how much I enjoyed seeing all these creepy-crawlies (and their poo) in person. Being able to engage closely with the specimens actually seared the images of the pests into my brain, which meant I was able to identify some frass in our collection! Luckily in that case, there was no ongoing damage to our object and the pests had gone. 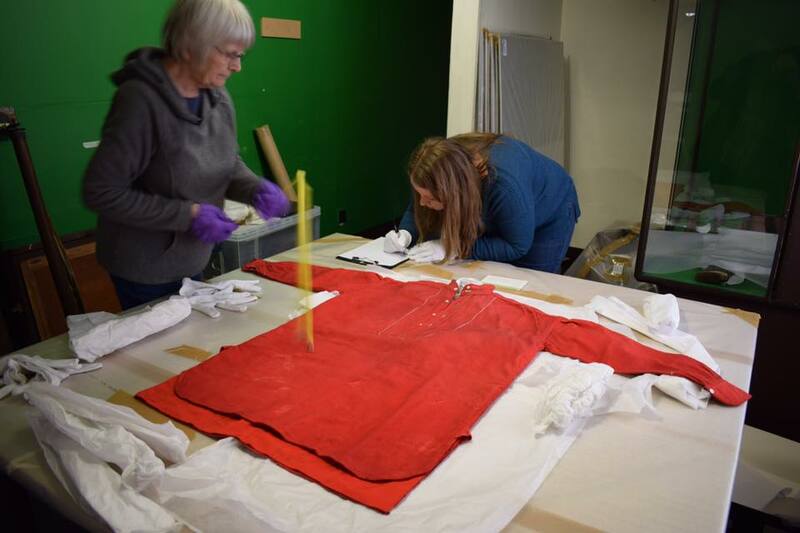 Volunteers checking Dr Livingstone’s iconic Turkey Red shirt for any pest damage. Volunteers and art handlers packing an agricultural tool infested with woodworm. 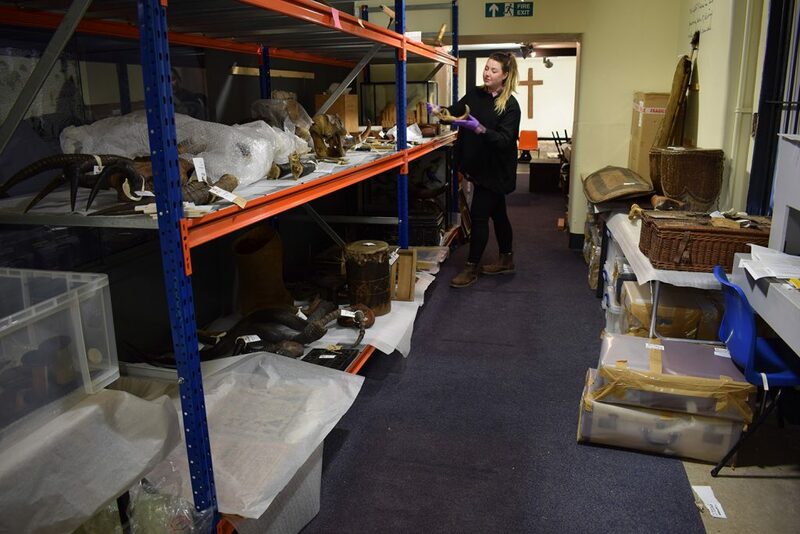 We then worked with Collections Technician Kelly Rennie, which was genuinely so much fun. We started with the basics of writing labels and moved on to practice with Paraloid and sewn labels. I absolutely loved working with Paraloid – who knew! I’ll admit my sewing skills leave something to be desired, but getting familiar with the tiny curved needles was useful for building a documentation plan. 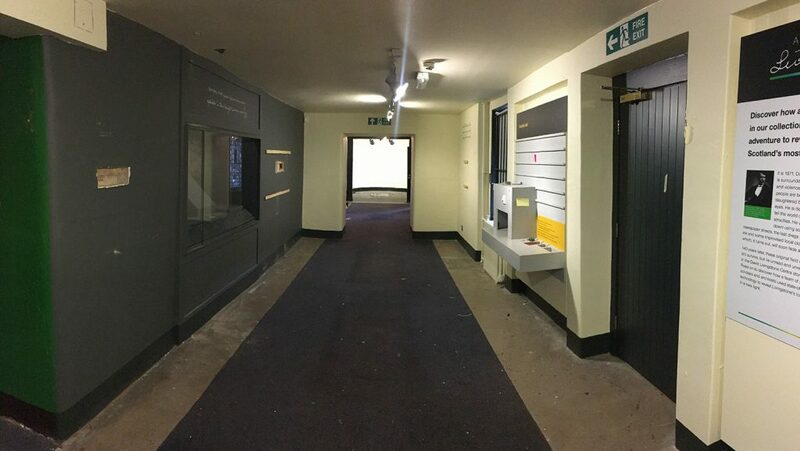 While the David Livingstone Centre does not have the means for Paraloid or sewn labels at present, the workshop provided us with a strong foundation for our labelling plan for the Centre’s re-installation. Kelly teaches us how to mark tile with Paraloid. An attempt at sewing labels. 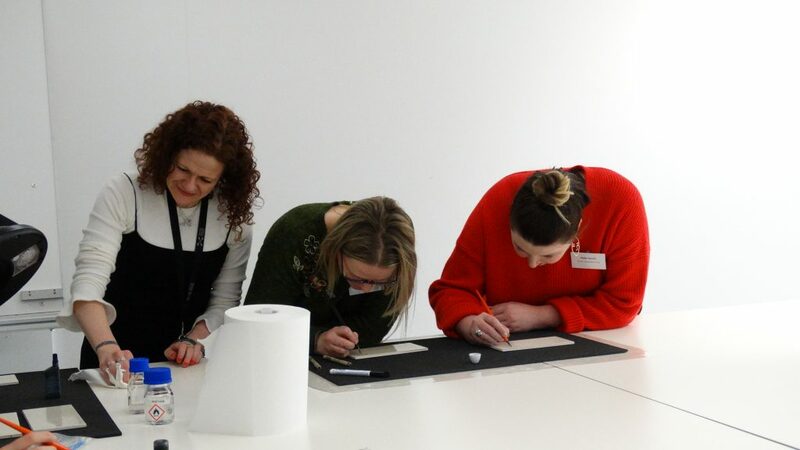 Thanks so much to the team at National Museums Scotland for putting this workshop together, you really helped our little team out!